The artistic-documentary novel ‘Pain’ was published a few days ago in the Israeli publishing house Medial in Tel-Aviv. The novel is dedicated to the terrible events of the genocide in Khojaly committed by the Armenian armed forces in 1992. 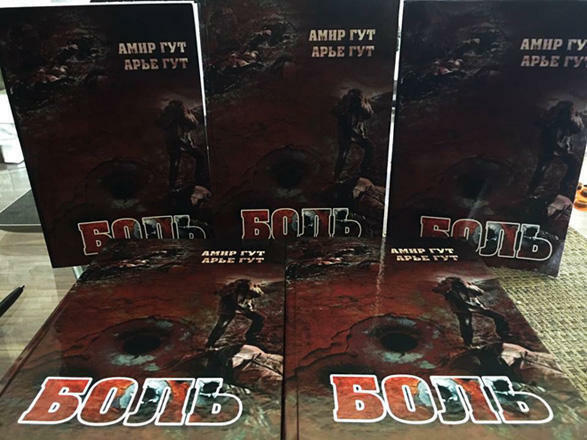 The authors of the novel are Amir Gut and Arye Gut, the head of the representative office of the Baku International Multiculturalism Centre in Israel. ‘Pain’ tells the story of romantic love between two young people belonging to different faiths. At the same time, the novel describes the horrors that the Armenian fascists and thugs perpetrated in the Azerbaijani town of Khojaly. “Despite the fact that more than two decades have passed since the massacre occurred, it left an indelible scar in the soul and an incurable wound in the heart of every miraculously survived Khojali civilian," said one of the authors, Arye Gut. The heroine of the novel Roya is a living witness of the genocide that occurred in Azerbaijani city of Khojaly in February of 1992 during the Armenian-Azerbaijani war, the scientific editor of the novel, PhD in political science Mahsati Aliyev says. ‘Pain’ shows the sorrow and tragedy of the Azerbaijani people, telling about the crimes of Armenian terrorists who sowed death and fear, destroy of the material and cultural heritage of Azerbaijan history.